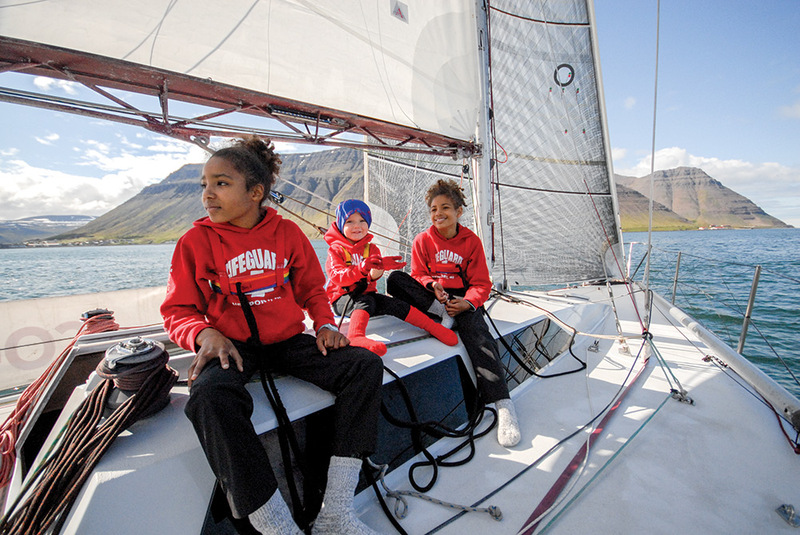 The Gonzalez family sails, sans engine, along the scenic coast of Isafjardardjup, Iceland. When a cruising tale starts with the words, “We had no engine and ... ,” it usually means a disaster story is about to follow. Most sailors get a knot in their stomach at the thought of losing an engine while trying to anchor somewhere new, entering a busy harbor at night or attempting to dock their boat. Those are the panic-inducing moments that we prepare for but secretly hope never happen. There are some sailors though who go through these scenarios on purpose. Sailing without an engine is not a new idea, but it’s one that is catching on slowly but surely with long-term cruisers all around the world. Lin and Larry Pardey gained fame in the sailing world for choosing the go-small, go-now attitude and cruising the world under sail alone. That was back in the days when phones were stuck to walls, cameras had film and cruising sailboats were much simpler on the whole. Now in the age of navigating by iPad, posting Facebook updates all across the Pacific and blogging your way around the world, cruising boats are becoming more high-tech and conveniences are the norm. Cruising long distances without an engine seems to fly in the face of more, better, faster. Jay and Natasha Gonzalez have sailed engine-free for seven years with their four children Sol, 11; Luna, 9; Caribe, 4; and Artico, 1.They have cruised throughout the Caribbean and Central America, and up the East Coast of the United States. They staged themselves in Rhode Island for several months to prepare for their ocean crossing. Natasha credits their ability to go cruising as a young family to the fact that they decided on a simple boat without an engine. Jay and Natasha Gonzalez and their four children didn't want to wait to live their sailing dream, so off they went, despite not having an engine or even a refrigerator. 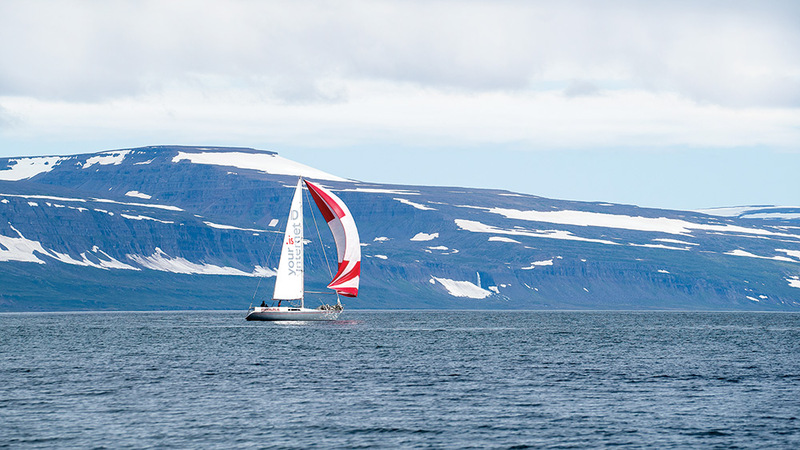 The family has sailing much of the world, including in Iceland. 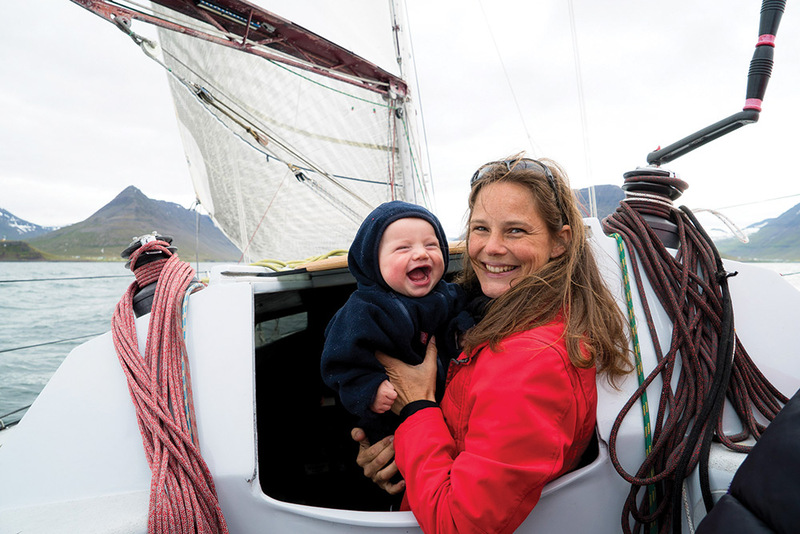 An engine is not the only thing the family gave up in order to start sailing immediately. And there is a practical aspect to keeping sailing simple, Jay said: less timely and costly maintenance. After sailing 50,000 miles around the world without an engine, Kevin Boothby agrees. Kevin Boothby confidently sails through an anchorage, engine free. 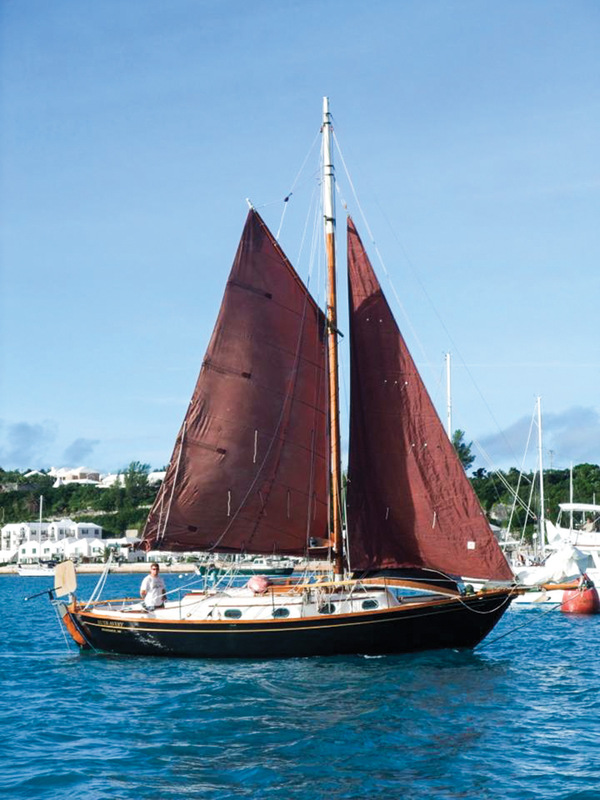 Boothby sails a Southern Cross 31 and can be found these days sailing the blue waters between Maine and the Virgin Islands. The gaff-rigged boat was originally designed to hold an auxiliary engine, but the engine compartment remains empty. 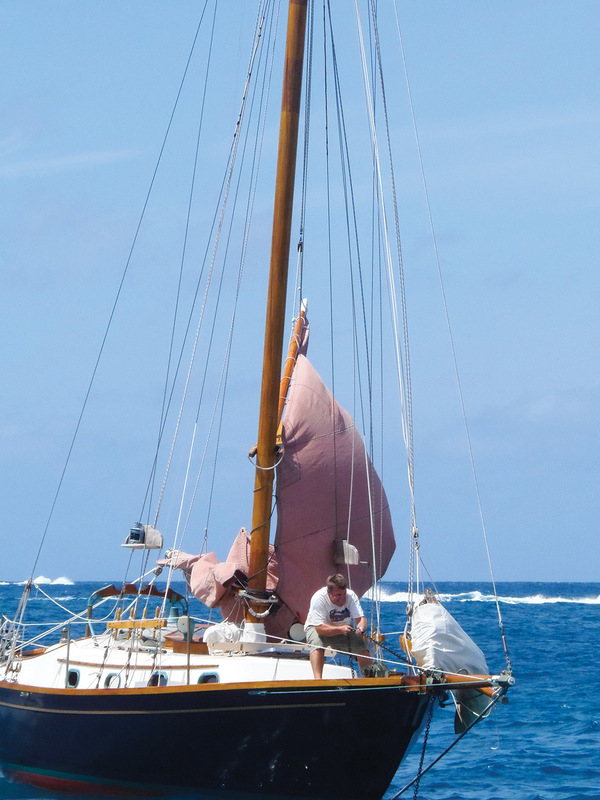 He bought the boat in 2001 and set off on a three-year engineless circumnavigation. Back in the day he read classic sailing and adventuring books and was attracted to the rugged romance of voyaging under sail alone. Petrea McCarthy has been sailing engineless in and around Australia since 1998. She’s owned three boats without engines, singlehanding most of the time. Her Norwalk Islands Sharpie 31 Talisman sailed her throughout the Queensland coast for more than a decade, but McCarthy admits her motivation was less romantic and more pragmatic. The one critical tool for any engineless sailor is of course wind, and the patience to find it. Sailing without power back-up means studying the tides and weather more closely than most cruising sailors. Most cruisers know that schedules for travel by boat are like writing messages in the sand at low tide. It’s an ever changing thing. This is even more the case for those voyaging under sail alone. “We have to be flexible with any schedule and time because we really rely on good wind. We can’t say we need to be anywhere by a certain date,” Natasha said. Kevin Boothby proves that sailing off of anchor is a good workout. Boothby agrees that sculling oars are a must, among other tools. The Gonzalezes also keep a light anchor to use as “brakes” in tricky situations. They also count their trusty, hand-crank sewing machine as critical equipment. Sail repairs cannot wait until the next port when it’s your only means of propulsion, so maintaining them is a top priority. “We’ve had to sew sails in storms with 20 foot waves,” Jay said. Slipping silently into a busy harbor and dropping anchor under sail will certainly turn a few heads. Some are watching in admiration, while others are waiting to see what will go wrong. Boothby said that when you’re good at it, nobody notices much. The Gonzalezes have found many friends through sharing their experiences cruising without an engine. But Natasha is quick to point out they aren’t evangelizing for their style of sailing. “I am not trying to convert people, but we want to make people think about it,” she said. Boothby also emphasizes that he’s not trying to create a movement or convince masses of cruisers to give up their trusty diesels. The nice thing about cruising without an engine is that it costs nothing to give it a try. It’s just a choice that any sailor can make to not reach for the ignition and try going without when the wind dies or when entering an anchorage. Building the skills and confidence can happen any time. Sailing your sailboat is a simple idea, it’s all about the journey. Several photos in this article were taken by photographer Haukur Sigurdsson. To see more of his work, go to his website.